Last week we said goodbye to our first contestant, Lorna Simpson. This week it’s time to get down to the final ten. The theme this week was Love and Heartbreak and it was going to be heartbreak for one contestant. Sam Bailey, dedicating her song to her husband (ahhh! 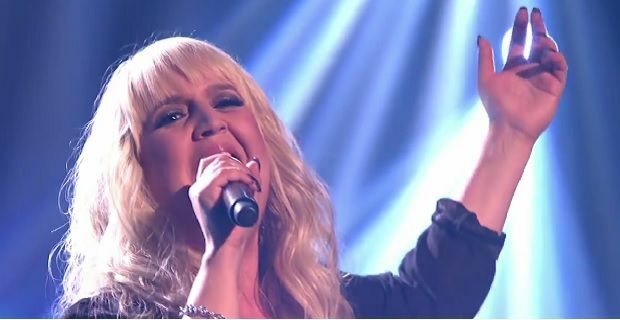 ), was up first with “Make you feel my love” from Adele – a good performance – she seems to be a steady strong performer so far. Kingsland Road was the first group up with Bruno Mars “Marry you”. How romantic – the gush factor was really heating up. Abi Alton gave us Kylie Minogue’s “Can’t get you out of my head” in her own unique style – probably not her greatest performance and it left Gary sleepy. Shelley Smith who managed to remain in the show by the tips of her fingers camped it up with a version of Beyoncé’s “Single ladies”. Miss Dynamix, the bookies favourite to leave this weekend dodged a bullet and were given a pass to next week when pregnant singer Sese collapsed and was rushed to hospital before the live shows. They hope to be back on stage for the next live show however it may be that their days on X-Factor are numbered. Sam Callahan, criticised for poorer vocals last week has been practising all week and gave a reasonable performance of Jason Murz’s “I won’t give up”. No doubt Sam’s female fans will keep him in the competition for a few weeks yet. Tamera Foster gave a great performance of Emilie Sande and Labyrinth’s “Beneath your beautiful” but there is something clinical about her. That said she is bound to go far! Luke Friend seemed to have washed his hair this week and gave us his best with “Let her go” from Passenger. Rough copy did a rough copy of The Back Street boys hit “I want it that way” and finally Hannah Barrett, first to perform last week was last up this week and was certainly not letting Tamera steal the girls thunder as she gave a great performance of “Beautiful” to finish off the performances. The new addition of the Flash vote was up again. Ten minutes of voting and bottom of the pack find themselves in the sing off for survival and this week it was Kingsland Road. Somewhat of a shock result but roll on Sunday night and after the usual celebrity performance, this week in the form of Robin Thicke and Katy Perry, we awaited who would be up against them. Results were in and it was Shelly Smith again to contest the sing off. Kingsland Road were up first with Pink’s "Try", leaving Shelly Smith to belt out Sam Brown’s Stop! It was over to the Judge’s to make their decision – with Gary saving his band Kingsland Road and Sharon saving Shelly it was down to Nicole Scherzinger and Louis Walsh to make the decision. Despite lots of kisses from Sharon, after Nicole choose to send Shelly home, Louis didn’t budge and also sent Shelly home. So with 3 votes to 1 it was the end of the road for Shelly Smith. Two weeks, two eliminations for Sharon Osbourne – will she take a hat trick next week? Tune in to the third week of X-Factor live shows next Saturday night ITV1 at 8pm with the results show 8pm on Sunday.